Lying on the lawn still warm from the late summer sun, searching the skies for the appearance of the constellation Scorpio I awaited with eager anticipation the onset of Autumn which signaled the impending arrival of my late October birthday, the Fall school carnival and yes, Hallowe'en. It thrilled me to see those first few fallen leaves skittering down the windy street. And after a hot Texas summer, that first blast of chill Autumn air was all the more welcome. 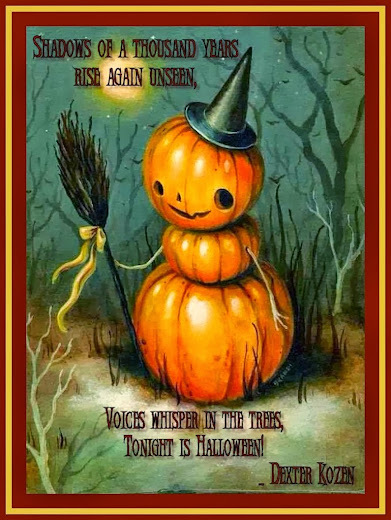 Nose pressed against my window, I wondered at the glow of the full Harvest moon seeming to hang just out of my reach and kept watch for the first sign that old Jack Frost had kissed the pumpkins. I looked up the date of the Autumn Equinox in my Grandmother's Farmer's Almanac every year, puzzling over the curious symbols and trying to decipher their mystery. 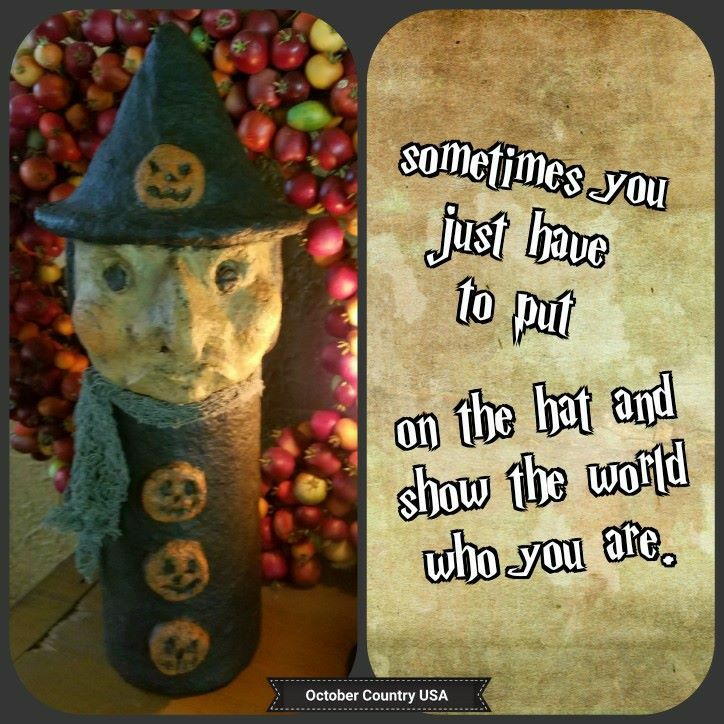 HALLOWEEN - I loved the sights, the colors, the sounds, the smells, the stories, oh just the very feel of it! But hang the harvest high, Oh see! The candle constellations on the Halloween Tree! 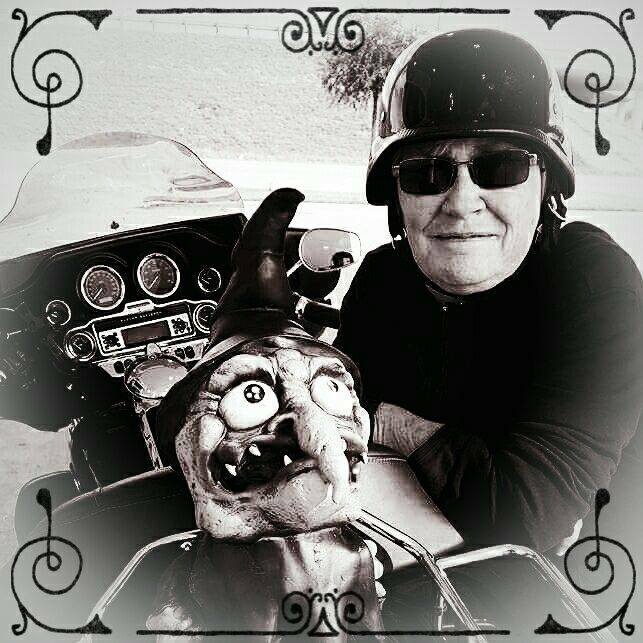 This one night in all the year belonged to me, I thought, as I skipped down dusty suburban streets in some gaudy, dime store costume and mask, little brother and two bags of candy in tow. Those are good memories. I am not ashamed to say, I totally identified with Linus in the pumpkin patch. I believed it Charlie Brown!!! 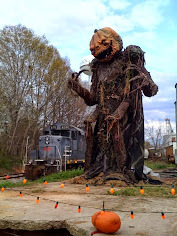 I loved the idea of the Great Pumpkin! Since the position did not seem to be taken, I imagined I was the Witch of the South. Glenda was my Auntie from the North. I became the Pumpkin Queen of trick or treat. That's it! The Punkin' Queen of Hallowe'en! 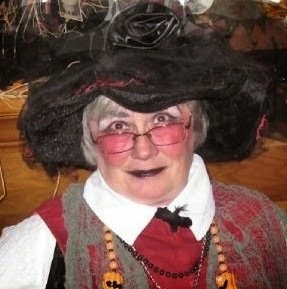 Little did I know that one day I would grow up to be the Pumpkin Witch of Hallowe'en and here I am! Punkinwych! Or, as I am known these days – Octoberwych. Hallowe'en belonged to me! I owned it! And yes, I still do. It was much later in life that I became aware of some of the other connotations assigned to the tradition of Hallowe'en. 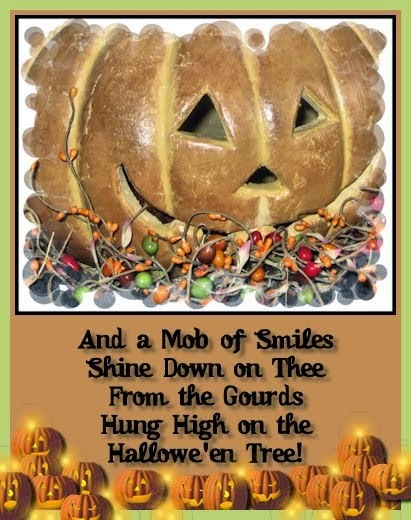 Such connotations led to my ongoing exploration of associated myths, legends and history about Hallowe'en, research initially conducted to prove or disprove religious claims from certain well-meaning Bible Thumpers of my acquaintance. Oh yes, these good folk were hell-bent on changing my wicked ways, determined to convince me that Hallowe'en and all its trappings was evil incarnate. The celebration of Hallowe'en, I was told, as I made a trick-or-treat costume and plans for my very young daughter would lead to the ultimate downfall of our society. 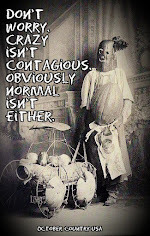 Perversion of the innocent would somehow mysteriously evolve through the immoral practice of mummery aka trick-or-treating. Excuse me? Did I miss something? 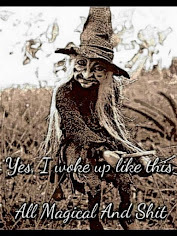 Somehow I failed to visualize how dressing up in a bed sheet, running through the streets one night a year, getting candy from kindly neighbors and visiting the church-sponsored spook house translated into devil worship and eternal damnation for me or my child, bless my skeptical, soon-not-to-be a Southern Baptist soul. Yes, I said church-sponsored spook house… I remember them well - complete with vampire preachers, Sunday school teachers turned witches stirring steaming cauldrons and church elders parading as bloody headless ghosts. What Haunted Hypocrisy! Mind you this was before the era of politically correct perversion that has overtaken church-sponsored anti-Hallowe'en events these days. It was about this time in my life, that the ever constant pressure from the patriarchal, dogmatic rule-of-thumb began to grate seriously upon my nerves. Never one to succumb to blind faith and being fairly confidant in my ability to digest and disseminate information on my own, I set out on a mission to dispel the evil attributed to the myth of Hallowe'en. So far, and it has been a good thirty years since I began my research, I have not found a shred of evidence to change my mind about Hallowe'en. I have, however, found a good many reasons to disassociate myself from those who hysterically perpetuate the myth that Hallowe'en is evil or harmful in any way. Yep! Debunking the silly notions that pervade the Hallowe'en myth is what ultimately led me to embrace a spiritual path and way of life very foreign from my up-bringing. So! There is kindling for your fire, Witch Hunters... Hallowe'en did indeed lead me astray... led my wicked little soul straight down the garden path to the pumpkin patch that I call home sweet home. All rants aside, as I have said before, I do celebrate Hallowe'en with a whole heart... not as a Pagan or a Witch (I have been called both) as one would assume but, as one who simply loves the season well. If I must be labeled such, because of my affinity for this time of year I say - So-Be-It. 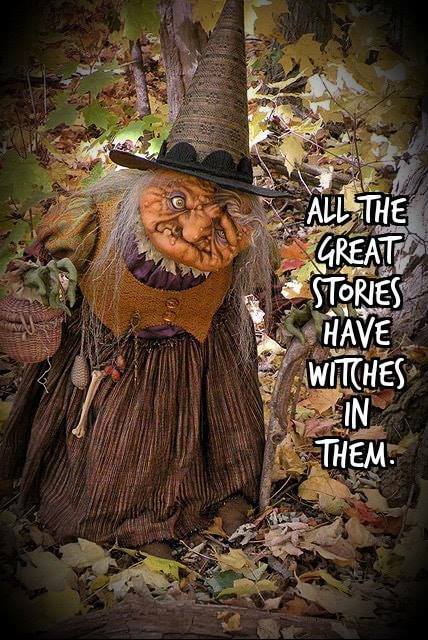 I start decorating around the time of the Autumn/Fall Equinox which is on or about September 22, rearranging my collection of wickedly grinning Witches and Jack-o'-Lanterns, a good many of which stay out all year. I take special delight being outdoors at this time of year just breathing in the sights and sounds and smells of the changing season with Fall foliage drives, harvest festivals, corn mazes, mountain hikes and twilight walks that take me kicking through leaves and bathing in the soft light of the newly risen moon. And I bring some of nature's blessings indoors with me in the form of leaves and holly berries, apples, nuts, Indian corn, gourds and (my personal favorite - or hadn't you guessed?) PUMPKINS of all shapes and sizes. And I read my old favorites again... Bradbury's, The Hallowe'en Tree and Something Wicked This Way Comes, Irving's The Legend of Sleepy Hollow just to name a few. 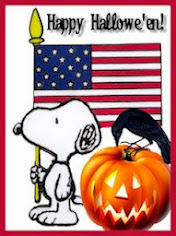 I usually tune in to It's the Great Pumpkin Charlie Brown on TV - still one of my all-time favorites. It puts me in a jolly humor. It makes sense to me to honor the dead on this day. Perhaps it is nothing more than my willingness to share my joy in the season. I guess you could say I view it as kind of a Pagan Day of the Dead or Memorial Day. It is a three day event, celebrated as The Day of the Dead in Mexico and parts of Texas, New Mexico and Arizona. But, I have my own way to show reverence to the dead that is probably a compilation of customs. Sometimes I set a place at the dinner table for those loved ones who have gone on before me. I light a candle in grandmother's old teacup. I place it before a picture of my grandpas and mementos from a few beloved others. The first pumpkin I buy every year is Grandpa's pumpkin. I wind great grandmother's music box and I think about her/them. I don't just go through the motions of ritual. I really think about them. I summon their spirits and bask in the warmth of their loving presence. I feel them. I cherish each happy memory as they come rushing in upon me. It's a kind of one-on-one seance, if you will. The point is not the ritual at all, you see - it is the purpose. I refuse to believe that honoring the memory of those beloved to me is anything but a perfect example of my love and trust in them, in death as in life. If a strange entity should appear from beyond the veil between the worlds and none ever have, then I will assume it is for a very good reason and choose to learn from the experience. There, you have it! If the practice of communing with the Dead be they known or unknown to me, who walk beyond the veil of our physical reality is evil… then, I say again SO-BE-IT! If it means anything; I go through a similar ritual on the birthdays and death days of those departed ones beloved to me, as well. In fact; I did all of these things long before I realized they were considered Pagan rituals. How considerate of a Christian to point it out to me. Frankly, I don't see the difference between lighting a candle for my departed loved ones on the coffee table and lighting one in a chapel. Do you? That a New Year should follow the final harvest of the year makes perfect sense to me. 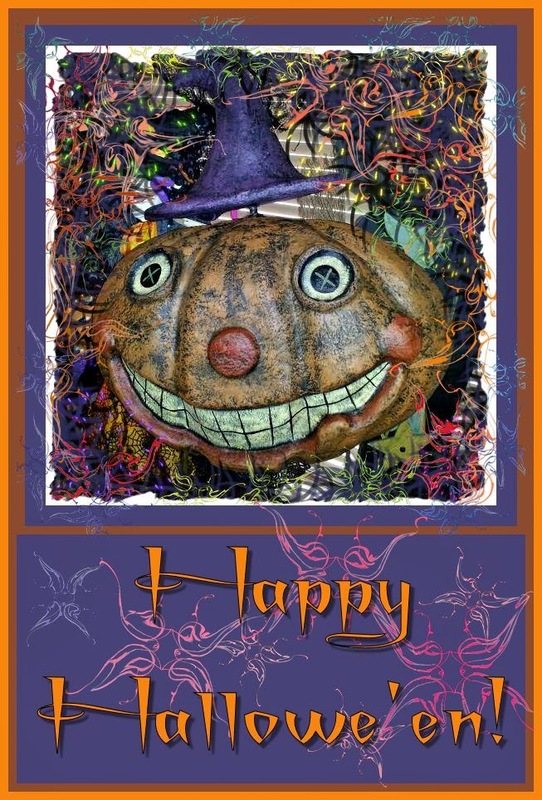 Actually Hallowe'en (aka Samhain - the end of summer) falls between the Autumn Equinox and the Winter Solstice. Known as a dark time, when what was fertile lies dormant for a time... it is clear that it is a time of transition. So the wheel of the year turns, for people as well as the earth. People have happily celebrated the change of the seasons since time began, I imagine. It does not require a historian to confirm that. Think about it. We all celebrate the change of seasons whether we identify it as doing so or not. In ancient times, they named the seasons, assigned them deities, offered thanks to the Powers-That-Be under the stars and danced around bonfires under an open sky in a celebration of birth and death and life's renewal. We are really not so very far removed from those ancient ones, you know. We still mark the seasons even if we do gauge them by the onset of our favorite sports programming on TV. You know: football season, hockey season, baseball season, basketball season..., etc. So it is easy to see how those of us; who may be just a little more in tune (mind you, mostly because we choose to be) with how we as humans relate to nature, would see Hallowe'en as descending from an ancient rite simply because of its timing... and while we may not be able to prove it - some of us just know it is a ritual as old as mankind or womankind... not inherent from some man made, over blown and distressingly distorted idea of religion - but a simple statement of the spirituality buried deep within all of us. A spirituality that seeks to communicate to each and every one of us the bond we have with nature and our place in the natural world. What else we are outside of that reality is truly insignificant. What can it harm to be aware of the cycles of nature? What can it harm to remember we are a part of that magnificent cycle whether we assign it a religious connection or not? And I suppose it would do us all well to remember we are each one a part of the whole no matter how we identify it, view it, or relate to it. So, I/We celebrate much the same as anyone with a pulse celebrates any New Year... I start out with a little reverence and proceed to party hearty with people I love in pure unadulterated abandon! I make the same resolution every year at the dawn of the Pagan/Wiccan New Year, October 31 and I reaffirm it on New Year's Eve, January 31. Every year I resolve to be a better person, more tolerant and helpful to others (this is about as simple as resolving to lose weight, but I do try). I banish all aspects of my character that would hinder this process, like: greed, envy, jealousy, selfishness and the worst - pride by writing them on a piece of paper and burning them, mentally releasing each unfavorable trait as they disappear in smoke and ashes. I resolve to be more in tune with mother earth, nature and my own spirit. I ask for guidance and strength from the old ones to accomplish this task. Change of an unruly nature is a tough order – sometimes. I am a Scorpio. I am told we are sort of head strong and inflexible. Ha! It is a rejuvenating, uplifting experience wherein I feel grounded, balanced, humble and wise, if only for a short time. I resolve to carry this feeling into the New Year. Next, not always, but sometimes I consult the Tarot for insight into the future. So many people believe that what one sees in the cards (or any tool of divination) is evil and it is unwise to trifle with the unknown. But I say that the unknown is exactly what the cards are about and we see nothing there that is not a reflection of our own true self... our desires, our dreams, our hopes and aspirations. At dusk, I turn down the lights, fire up the jack-o'-lanterns, set out the goodies, play spooky music and trick-or-treat the neighborhood kids. If I cannot be home - I leave the candy on the porch. Better Treats than Tricks! Sometimes in the past we have had Pagan celebrations disguised as costume parties and wiener/marshmallow roasts. Damn! We are clever are we not? Often we go out for a while, sometimes costumed -- sometimes not, just to be out and about among those who have joined in the revelry. Just to be a part of the night. All Hallows Night. Finally, and on a somber note, I just have to say - for the life of me I cannot fathom the discomfort some people feel with Hallowe'en. Although, I reckon it could be something akin to the squirmy, itchy, sneezing, coughing thing I experienced while setting on a church pew. Still, while I may have been annoyed (or allergic- I don't know which)... I never once thought about torching the long-winded son-of-a-?? preacher - just wished I had brought a book or a cushion or ear plugs. Whatever your perspective; when all is said and done, it still does not solve the problem of making claims about Hallowe'en either good or bad without at least admitting to a fair amount of speculation in the matter. Offer your opinion, state your perspective, but, Please! Do not present it as factual unless you have facts the rest of us can be made privy to. If such is the case - please inform me as soon as possible or send me the ISBN number of your forthcoming book. It is so disconcerting to know that some folks are all too willing to believe the worst of a matter and innocent people without confronting the facts. So I have directed this closing statement to them. I can deal with your problem concerning my spirituality. Really! But I do not meddle with your holidays - do you think you can afford me the same courtesy? It is OK with me if you and yours do not want to celebrate Hallowe'en, but some of us do. Yes, we tear up and down the streets, dress weird and get a little noisy - some of us may even dance around a bonfire with our sister-friends but, I have never had the urge to stamp out Christmas just because a bunch of carolers park on my doorstep (fa-la-la-la-la-la-la-la-laaaaa!). And, if you are going to spread propaganda, could you at least make a tiny attempt to get it right and if not that, then at least make folks aware that you are the author of that particular brand of self-righteous BS coming from your high and mighty soap box? So much said for party poopers… honestly, sometimes I just want to thump 'em between the running lights (my Dad's old term for eyes) and say - Hey! Get a life, will ya? Quit your whining! Exercise your freedom of choice. Turn out the porch light if the little ghosts and goblins scare you and turn up the 6:00 News! It is only one day! One very short night! Happy Hallowe'en and Blessed Be! Joyous Wishes to All Three times Three! An' it harm none - So Mote It Be!